After watching both the 1959 and 2006 versions of The Shaggy Dog recently for the Disney Film Project podcast, I wasn’t at all looking forward to watching Goofy deal with a canine friend in Man’s Best Friend. It is, however, a continuation of the George Geef version of the Goof, the third distinct evolution of my favorite character. After all, he began as Dippy Dawg, evolved into the “How To” genius that’s his most famous form, and during the early 1950s has become the suburban dad. With that comes the need to deal with owning a dog. This short also features three distinct sections, sort of breaking down each piece of the dog owning process. The first bit deals with Geef seeing the proverbial doggie in the window, and deciding to purchase it and train it. 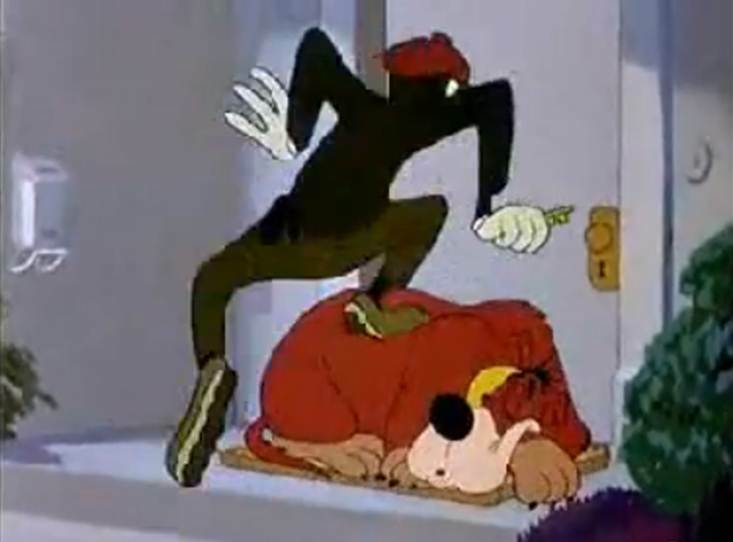 There’s some good comedy here, such as Goofy actually laying down and doing the tricks himself rather than the dog, Bowser, doing them. It’s pretty standard stuff, however, as the dog proves to be smarter than the master. That’s pretty normal for this kind of short. The second bit is a different type of comedy, though, as it takes the normal dog vs. man dynamic and upends it a bit, as the dog forces Goofy into conflict with his neighbors. After Bowser trashes every thing within walking distance, Goofy is forced to repay his neighbors for the damages in a nice funny scene. Unfortunately, that’s about the only good gag in the middle part of the short. 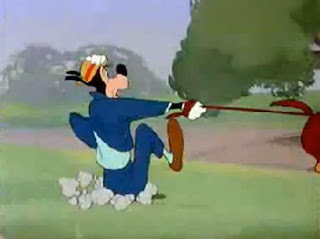 The rest is merely Goofy being dragged along by the larger Bowser, which is a typical gag. The final section, though, is a nice payoff, as we see Bowser’s ability, or lack thereof, to be a guard dog. The dog ends up sleeping through the thieves breaking into the house, their eventual capture by the police, and everything in between. But when Goofy returns from his fancy outing, Bowser is immediately awake and attacks his master, with all the ferocity he did not display for the thieves. Man’s Best Friend ends up playing out like a typical George Geef short, which means that the gags are good, not great, and the storyline is rather predictable. That doesn’t necessarily mean bad, it just means that it’s not the wild action we were used to from the “How To” shorts. It’s something that has been a slow change for the company from the late 1930s to the 1950s, but ends up making a lot of shorts that people will count as sugary or simple. 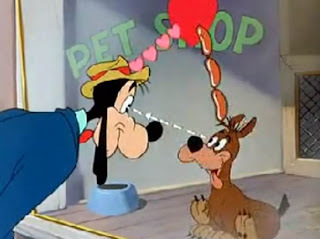 In my opinion, Man’s Best Friend falls in that groove, being a nice, funny short, but not original or very compelling. 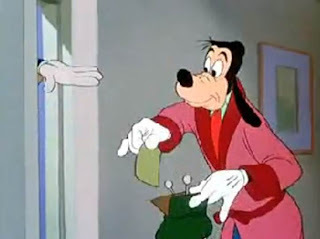 Still, worth the watch if you like Goofy like I do.